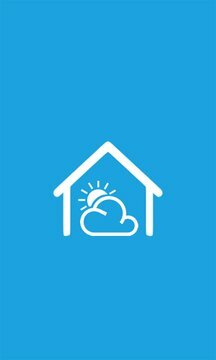 Did you buy a NetAtmo weatherstation? 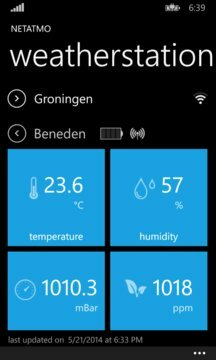 Then you can use this app to monitor the temperature, humidity and air quality inside and outside your home! The app shows the current conditions in one simple overview. When you tap on one of the tiles, you'll see a graph showing how the conditions developed over time. If you want to see more detail or more history, you can zoom in and out on the graph in the same way you zoom an image. In order to use this app, you need to login. Please use the same email address and password that you used to register your NetAtmo device on the NetAtmo website.